A set of diamond earrings can finish an outfit perfectly, but they can be much more valuable than you can imagine. Hopkins & Jones, jewellers and pawnbrokers, keep a keen eye on auction records from their posh pawnbrokers shop in London. Jim Tannahill, of Hopkins & Jones, cites 2017 as a strong year for diamond earrings. Two pairs fetched £57.4 million at Sotheby’s, with the ‘Apollo Blue’ taking $42.1 million, and the ‘Artemis Pink’ earning $15.3 million. Set to be auctioned separately, the pear-shaped earrings were both sold to a single, anonymous buyer. The Apollo Blue is 14.54-carats of blue diamond, while the Artemis Pink is a 16-carat pink diamond. 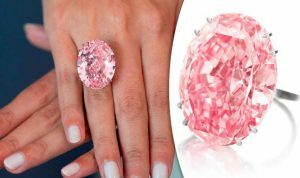 The most expensive diamond ever sold at auction was the $71.2 million of the “Pink Star” diamond in 2017, with the prior record held by the Miroir de l’Amour earrings sold by Christie’s in 2016 for $17.6 million. Diamond set earrings can be stunning in their simplicity, matching every outfit and occasion. However, adding a pop of colour with a ruby or sapphire set within can transform a pair of diamond earrings into a family heirloom to be passed down from generation to generation. London pawnbrokers and jewellers, Hopkins & Jones, have many years of experience in dealing with diamond earrings and coloured gemstones. The Team at Hopkins & Jones appreciate that specific stones of colour attract people with different skin tones and hair colour, with emerald and ruby working well for redheads or brunettes, with sapphires working well for blondes, but the team know the value of gems so well, that they are able to highlight other less well-known aspects of the stones. Sapphire is one of the hardest natural gemstones and is second only to diamond in hardness and have a rich history. Legend suggests that the tablets containing the Ten Commandments were composed of sapphire and were so strong that, if a hammer were to be swung against them, the hammer would shatter. Ancient Persians believed that the earth rested on a giant sapphire and its reflection coloured the sky, while it’s still believed that sapphires impart healing and calming properties. Thought to symbolise good fortune, virtue, wisdom and holiness, sincerity and faithfulness, sapphires make an excellent choice for an engagement ring but earrings are often exchanged as the traditional wedding anniversary gift for a couple’s 5th and 45th year. Typically blue, sapphire can be found in other colours, even red. A red sapphire is still known as a sapphire! Sapphires are very rare and expensive so cutters are more likely to shape them into ovals or cushions, to ensure most of the stone is preserved, instead of smoothed off as in a round cut. Rubies are as equally rare, hard and precious as sapphires and are most often round cut to prevent needless wastage. Rubies were known in ancient times as the “the king of gems” and said – to within some cultures – to represent of the sun. Symbolising integrity, devotion, happiness, healing, courage, romance, generosity, inspiration, and prosperity. It’s perhaps no surprise that warriors implanted rubies under their skin to bring strength in battle. As little less extreme, rubies are still worn as a talisman to warn its owner against danger and disaster. Used in coronation rings for English monarchs, their red aura makes them seems larger than they actually are. Scarcest of all gems, they command extremely high prices. Little could a German frogman know – as he swam away from the Nijmegen bridge after setting an explosive charge in 1944 – that he was about to be parted from his Rolex AND that it would sell for over £52,000 over 70 years later. In the weeks after the Allies took the Normandy beaches during the D-Day landings, they progressed across Europe as they marched ever closer to Berlin. Operation Market Garden formed part of the Liberation of Europe and focused on the low-lying lands of Holland and Germany. With Nijmegen forming the new frontline, Sgt George Rowson and his unit were there to prevent German counter attacks. 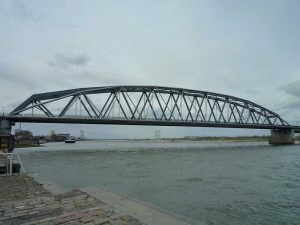 In a daring mission, 12 German frogmen entered the river six miles away from Nijmegen and moved along the river to place charges to the underwater footings of the railway bridge. Tired and disorientated, the frogmen exited the river at the wrong point, walking straight in to Sgt Rowson and his section. Captured at gunpoint the British, Sgt Rowson took the Rolex Panerai from one of the divers as a souvenir. Having protected the watch for decades, Sgt Rowson passed it on to his son, who auctioned the watch at the end of January 2018. The story behind the Rolex is fascinating in its own right but what makes the watch even more unusual is that the watch is one of only 618 Rolex 17 Panerai 3646 watches produced between 1941 and 1943. 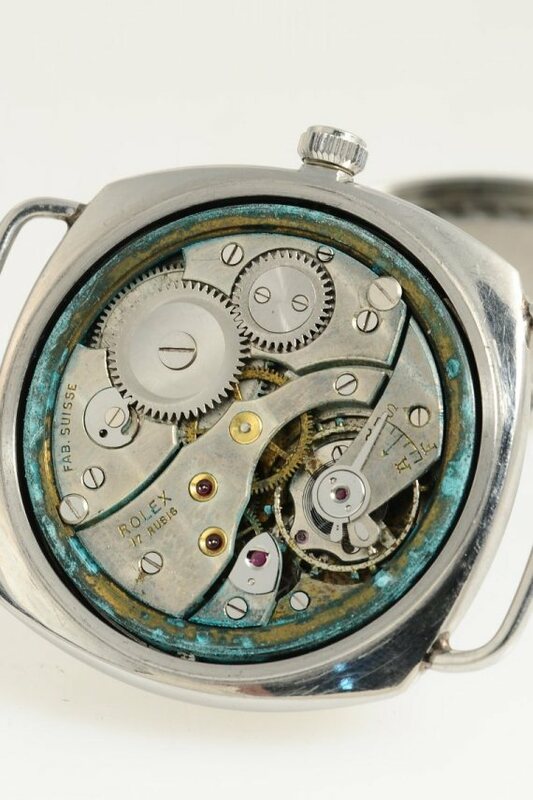 Made by Italian watchmaker, Panerai, Rolex movements were used. Waterproof, with an oversized face which was visible in the dark, they were supplied to the Royal Italian Navy and used by brave divers operating human torpedoes – rideable missiles that had a detachable warhead which could be used as a timed limpet mine on enemy ships. The Italians gave their German counterparts the watches, which is why the Nazi diver was wearing one when he was captured on September 29, 1944. Stg Rowson explained how he came to own the Rolex, documenting his story in a letter which also went up for auction with the watch. Jim Tannahil of Hopkins & Jones, London pawnbrokers, said, “This is an absolutely fascinating story and certainly underlines the value in watches such as Rolex. People live such interesting and complex lives yet their watch retains part of the history of which they live through. 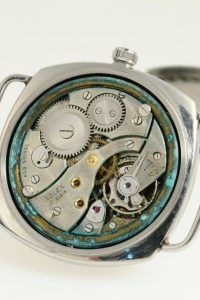 What helps the watches outlive their owners is the sheer mastery in the making. Considering an investment in a timepiece can be hugely rewarding but always interesting”. As the UK headed into the depths of winter, we were treated to a little bit of positive news – with a dash of Hollywood glamour thrown in for good luck. When Prince Charles’ youngest son, Harry, found the right person for him to spend the rest of his life with, it was always going to cause a bit of a stir. The fact that his future wife is Megan Markle, star of US television hit, Suits, philanthropist and yoga fanatic, means that all eyes were on the couple when they announced their engagement at the end of November 2017. The two most well-known Royal engagement rings of the 1980s followed a trend of their own, with a striking colour stone surrounded by diamonds; Diana, Princess of Wales, sported a sapphire, while Sarah, Duchess of York, had a central stone of ruby. When Prince William opted to propose to Catherine Middleton with his mother’s ring, we were yet to see how modern Royal engagement rings trends would look in the new millennium. With Harry and Megan’s announcement, it all became clear. 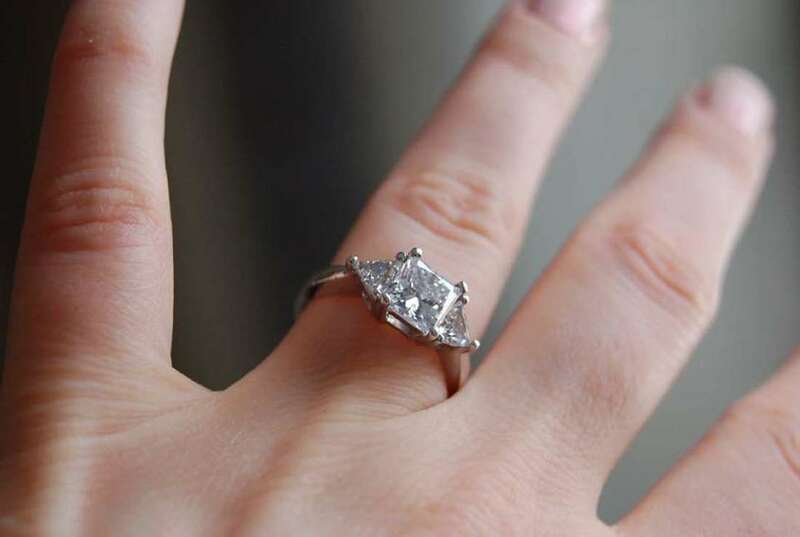 There are many different styles of engagement ring to choose from, yet the iconic engagement sparkler is, without doubt, the diamond solitaire. Ever stylish and willing to push beyond the boundaries of the solitaire setting, Harry has managed to design a ring that is both modern but classic – and it has sparked a lot of interest in the trilogy setting. Megan’s ring features a cushion cut diamond, of at least 2 carats, surrounded by two round diamonds. The stones are set in white gold, with the band in yellow gold. Harry’s design, however, goes far beyond appearance with each element of the ring signifying an important part of the couple’s story. More than simply extra adornment, the two round side stones belonged to Harry’s late mother, Princess Diana, meaning that the ring will have great sentimental value attached to it. The team at Hopkins & Jones were thrilled with Harry’s choice of central stone – a diamond from Botswana. While the team appreciate the personal link to one of Harry and Megan’s favourite go-to spots in the world, they were delighted to witness Harry’s support for the Botswanan diamond industry. Botswana plays a huge roll in world diamond production, with the gem industry transforming the former British colony one of Africa’s more stable and prosperous nations. Harry’s diamond revenue will go directly back into the Botswanan economy, leaving the couple’s positive footprint in a country that means so much to them. The trilogy design is also symbolic with the three-stone setting said to represent friendship, love and fidelity, as well as past, present and future. Diamonds, Jewellery Loans, Pawnbroking • Comments Off on Make It Matter! Valentine’s Day can feel a bit like a trap. Plumping for a teddy, or roses or a meal deal can make you feel part of the whole commercial juggernaut. Doing something a more homemade and heartsome can come across as a little lacklustre on the day, so how do you get it right? 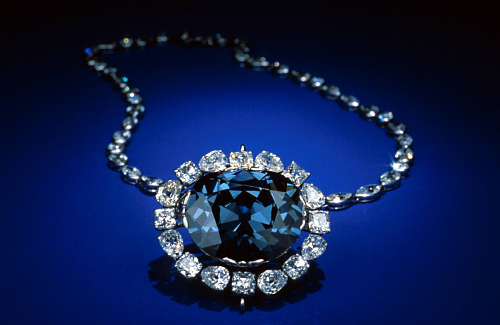 While the Hope Diamond is the most famous diamond in the world, it’s also considered to be cursed. Originally owned by King Louis XIV of France in 1668, the 45.52 carat steel-blue hued gem was stolen. 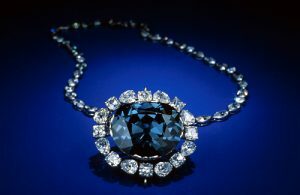 Mysteriously turning up in the English Royal Court years later, the Hope Diamond now resides in the Smithsonian Institute. The Hope Diamond was donated in 1958 by Harry Winston who sent the diamond, valued at over $200 million dollars, in an ordinary brown paper-wrapped box via the postal service. When the Empress Eugenie de Montijo married Napoleon’s nephew and heir, Louis Napoleon, in 1853, she made her name as one of the most beautiful and stylish women in Europe. Her famous diamond bow was made in 1855, by the Parisian jeweller Francois Kramer, and had been destined to be used as a buckle for a diamond belt, but the ever-stylish Eugenie asked that it be transformed into a pin. If your significant other prefers pearls, then La Peregrina could be the Valentine’s Day gift for them – if you could get your hands on it. In the mid-16th century, a Spanish-owned slave discovered the duck egg-sized, pear-shaped pearl off the coast of Panama. His discovery earned him his freedom and the pearl moved around the nobility before settling in 1969 with the modern-day royals of Hollywood. Snapped up by Richard Burton, the pearl was set by Cartier in a pendant necklace and given to Elizabeth Taylor. When last auctioned, the pearl, diamond, and ruby necklace fetched almost $12 million. Louis Napoleon’s uncle, the Emperor Napoleon, clearly set a good example for his nephew when he gifted the Marie-Louise Diadem to his bride Empress Marie-Louise as a wedding gift. 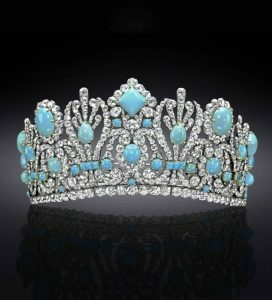 The emeralds originally in the diadem were replaced with 79 Persian turquoise stones in the 1950s, so Van Cleef & Arpels could sell the emeralds in individual pieces of jewellery. 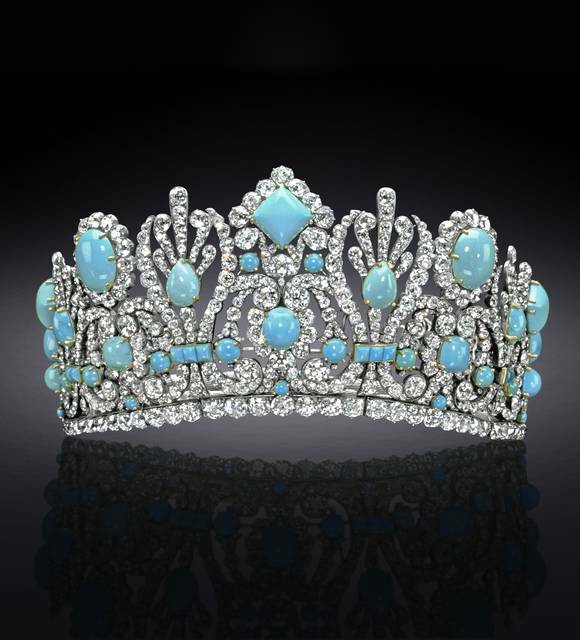 The diadem can now be viewed at the Smithsonian Institute. Not many men or women will be expecting their loved ones to spend millions on them this Valentine’s but our list of gorgeous stones does show that we are still talking about them centuries later. Doesn’t this still stand for any jewel on Valentine’s Day. Hopkins & Jones are specialists in jewellery, with one arm of the business given over to jewellery but the other is concerned with high end pawnbroking. As a pawnbroker in London, the team at Hopkins & Jones are intimately familiar with the whole spectrum of jewels and could recommend the perfect gift for Valentine’s Day 2018. Central London pawnbrokers, Hopkins & Jones, are watching the auction of a Rolex with interest. Due to take place in the Midlands, at the end of January 2018, the Rolex was uncovered during one of the most spectacular stories of World War II, even featuring in the famous film, A Bridge Too Far. Hopkins & Jones understand the Rolex brand and its associated value well, with their central London jewellers boasting several different Rolex for sale at any given time. The story behind the WWII Rolex, however, is proof that watches can come with fabulous human-interest stories as part of the whole package. The watch in question is the Rolex Panerai Military Diver watch came to be owned by British soldier, George H Rowson, during the battle for the bridge at Nijmegen. 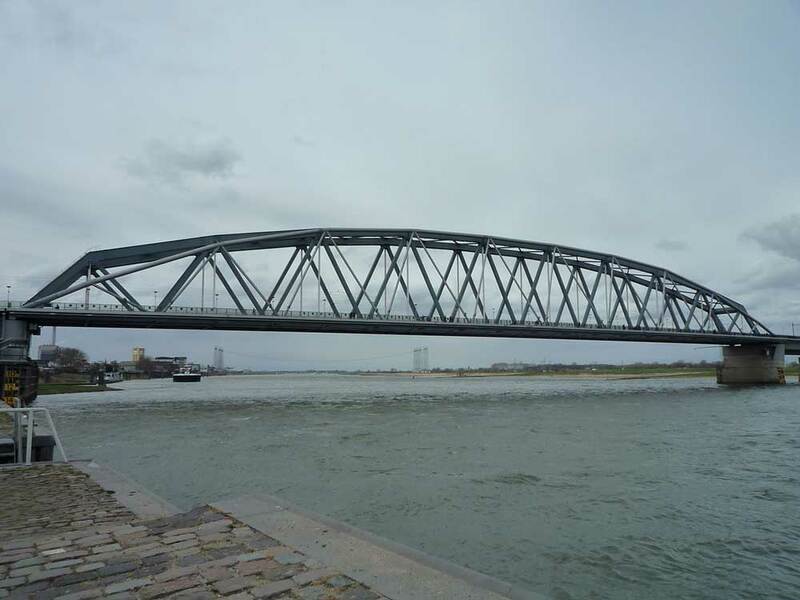 A key strategic river crossing in Holland, the Germans had set out to destroy the bridge with charges in September 1944. Following the D-Day Landings, the bridge at Nijmegen was critical to the Allies as they moved eastwards. Part of Operation Market Garden, the Allies battled the Germans for the bridge with the liberation of the Dutch cities of Arnhem, Eindhoven and Nijmegen the Allies’ aim. The Rolex Panerai Military Diver watch auction package is set to include the hand-written letter, as well as a piece of the rubber from the specialist Italian-made diving suits as worn by the German divers. The Italian link is fascinating in itself as the German diver, who was in possession of the Rolex, had trained in Italy with this Rolex model originally intended for the elite Italian diving corps, the Italian Decima MAS. Taken from the Italians by the Germans, the watch came into George Rowson’s possession and he had his full name, rank and the year 1944 engraved on the watch face reverse. The watch has only been worn a few times and was passed down through the Rowson family, before going to auction, with an estimated price tag of £30,000 to £40,000. Making Christmas happen can put even the best financial planner under strain. Even if you can remain untouched by the twinkle of the fairy lights or found yourself unwrapping another hat and glove set, the chances are that put all your energy and effort into making it a year to remember. Christmas is not cheap, even if you work hard to keep within your budget. 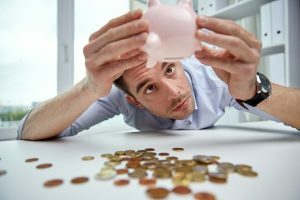 With no extra income, seeing December through from start to finish is an expensive business. Christmas cards (and the stamps! ), work functions, visiting friends and relatives or even going home can all add up – and that’s without taking presents into consideration. You can probably also count on something in your world letting you down – the fridge freezer, your car – and its also time to renew season tickets, which are costing more and more each time. Pawn broking is the reliable and judgement-free solution to your Blue Monday problems. At Hopkins and Jones, a pawnbroker in London, we take the time to sit with you and explain what your options are so that you can better understand how to deal with the January bills. Pawnbroking has existed for centuries and offers an option to the sky-high rates offered by payday loans. Hopkins & Jones’ pawnshop is located in the heart of London, just off Trafalgar Square. With a gorgeous frontage, Hopkins & Jones is also a high-end jeweller that takes care of watch repair for watches of great value, including Rolex. With experts on hand to talk you through the pawnbroking process, you will be able to transform gold jewellery, watches and rings into fixed term loans that you will be able to collect at the satisfactory end of your loan term. As central London pawnbrokers, Hopkins & Jones take their responsibility for the secured loans service that they offer very seriously. As members of the National Pawnbroking Association and bound by the Financial Conduct Authority, Hopkins and Jones work ceaselessly to ensure that they have a clear picture of financial conditions within the UK at any given time. Hopkins & Jones, therefore, welcome the findings of a recent FCA research project that has investigated the financial lives of UK adults. The team at Hopkins & Jones look to the outcomes of the research to better understand their responsibilities in terms of their duty of care to their customers. While looking at a sample of 13,000 UK consumers, aged 18 and over, the report identified that 50% of consumers displayed one or more characteristics that signal their potential vulnerability. The sample covered six age group segments, spanning 18 to over 65, and allows Hopkins & Jones to be aware of how they can be best placed to support their clients. The report states that the vast majority of vulnerable people within the report (77%) are without bank accounts and/or are unemployed, with women in a slightly more vulnerable position than men. Hopkins & Jones are clear in the service that they fulfil and they occupy the top end of the high value market, with secured loans offered on high value items, including classic watches, objets d’art and vintage cars. Nevertheless, the team at Hopkins & Jones appreciate the new data from the FCA and will benefit from the data as they continue to adhere FCA rulings, but also appreciate the insight that it offers as a responsible financial entity. For many, the Cartier brand name is intrinsically linked with the iconic jewellery collections, such as the Panthère de Cartier, which elevated jewellery design to a new, conceptual level. Where Cartier also excels is in the design and precision engineering of their classic timepieces and watch collections. As central London pawnbrokers, Hopkins & Jones are familiar with many of the pieces and we’re proud to have seen some truly exceptional Cartier watches – but what makes a Cartier time piece stand out from the crowd? French jewellery house Cartier dates back to 1847, when Louis-François Cartier founded the company in Paris. Behind some of the most beautiful jewellery ever created, Cartier was also behind some of the biggest advancements in time telling – it’s exactly this fact that make loans on Cartier watches worth a second thought. Many people cast a glance at their wrist to see the time with little or no idea about the evolution behind the wristwatch. Driven by the need to ever improve on his time pieces, Louis Cartier sought to make telling the time more easily done for people who were increasingly on the move. Coming together is a perfect – but oh so simple – synergy, Louis’s passion for watches and his friendship with Alberto Santos-Dumont resulted in the development of the flat wristwatch that we know so well today. As a pioneer in aviation, Santos-Dumont needed to keep an eye on timing without taking his hands of the airplane’s yoke. Human behaviour often informs change and so it was Santos-Dumont’s inability to dig around for his pocket watch that lead to the modern wrist watch. As a well-respected pawn-brokers in London, Hopkins & Jones always love to see a Santos watch, so-named after Cartier’s Brazilian aviator friend. Not only a jewellery brand, Cartier have managed to capture a snapshot of society and its preoccupations at any given moment in time. While the brand was able to showcase the best in stunningly beautiful pieces, Cartier also managed to transform the horror of war and create something timeless, useful and robust that has been passed down the generations – and that is still in production today. The Cartier Tank was created for General Pershing, the Commander of the Western Front, with the design representing the tanks of that Front during World War I. Presented to the General in 1917, it was released for general sale in 1919. While Cartier has certainly delivered in terms of practical timepieces, the collections for women bring together a sublime blend of delicate functionality. 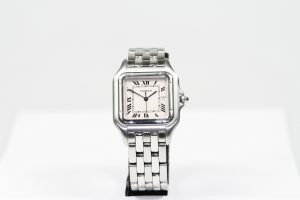 Cartier watches for women most often feature the iconic Cartier watch face that fronts precision in time keeping. Created and developed to sit perfectly on the female wrist, Cartier understood that the most important element of a watch is the ability to tell the time, quickly and accurately. With the Tank available in a range of styles – including the Anglaise and Louis – Cartier also understood a need for more feminine styles. The Ballon Bleu is perfectly rounded and soft, while the Ronde has the option of a leather strap. Rolex: In at the deep end! 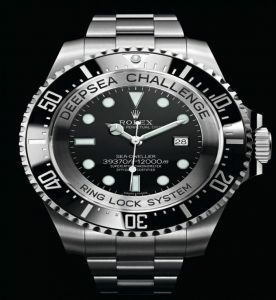 Jewellery Loans, Rolex Watches • Comments Off on Rolex: In at the deep end! Always the brand to push the boundaries, from the top of the world on the wrist of Sir Edmund Hillary on top of Mount Everest, Rolex have also been to the very deepest point on Earth! In 1960 a bulbous experimental watch called the ‘Deepsea Special’ was attached to a submarine called the Bathyscaphe Trieste as it dropped 39,000ft into the Mariana Trench, the deepest part of the world’s oceans! Piloted by Captain Don Walsh and Jacques Piccard, they descended an unbelievable 10,926 meters and returned in perfect working order in one of the most significant horological triumphs! In 2012 Hollywood director and Explorer James Cameron decided to recreate the dive and re-visit the Mariana Trench alone! Obviously Rolex were not going sit idly by and let this happen without them. In fact, more than just lending its name in sponsorship, they created a brand new experimental Diving watch to accompany him! The model dubbed the ‘Deepsea Challenge’ was strapped to Cameron’s vessel and successfully advanced 10,898 meters into the depths and did not miss a beat! 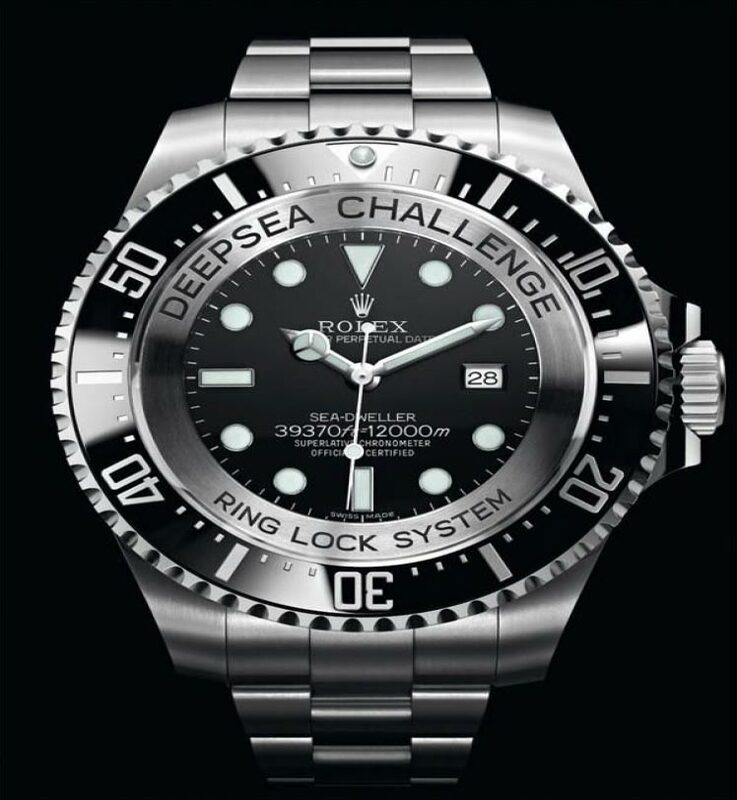 The specially designed Deepsea Challenge (one of three created) is no ordinary Divers watch. A huge 51 mm in diameter with a case thickness of 28.5mm the Deep Sea Challenge is a beast! Although attached to a standard Oyster bracelet, the watch is rated to 12,000 meters, can withstand a huge 13.6 tons of pressure. 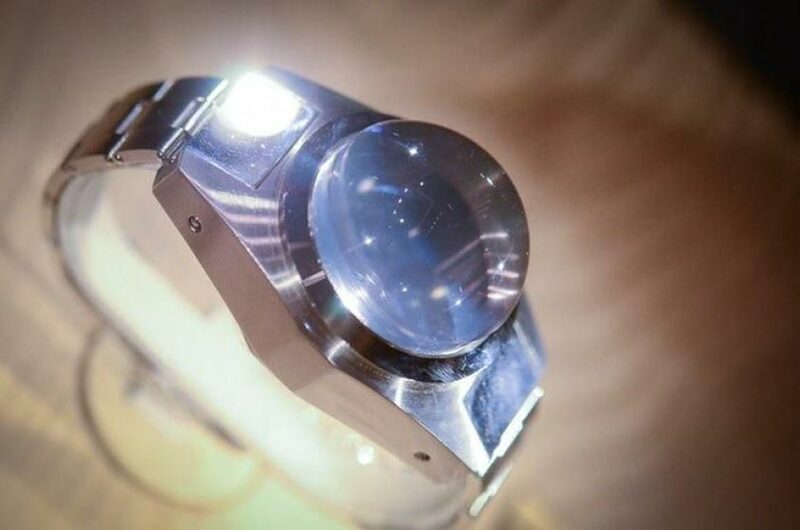 The sapphire crystal alone is 14.33mm thick! London Pawnbrokers; Hopkins & Jones Ltd, offering loans against all types of Rolex watches . The jewel in the United Kingdom’s crown. Jewellery Loans, Pawnbroking • Comments Off on The jewel in the United Kingdom’s crown. The British Monarchy are considered, internationally, to be the jewel in the United Kingdom’s crown. With homes all over the nation, from the wildly romantic Balmoral in the Scottish Highlands, to the ancient fortress of Windsor Castle on the edge of Windsor Great Park to the more formal and statuesque Buckingham Palace, it’s easy to believe in the fairy tale. With titles that resonate loudly with small children – and grown ups – the Royal Family present us with Queens, Princes and Princesses, Dukes and Duchesses. While it may seem like a fairy tale, living life in the private eye means that our Royal Family has got to look good at all times. Wall to wall press coverage showcases each outfit to perfection, but the little sparklers that complete the look get lost in a barrage of flashing cameras. 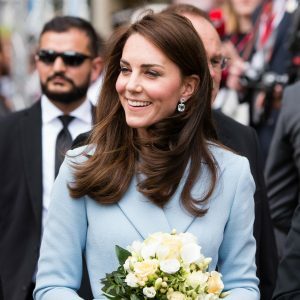 While Royal jewellery can seem quite formal, Kate Middleton, the Duchess of Cambridge, is wearing the sparkling stones in a more modern way – and she’s triumphant in how she wears classic pieces in more informal settings. Hopkins & Jones, central London pawnbrokers, are experts in high value jewellery and have taken a close look at how Kate manages to wear big gems with effortless grace and poise. Kate’s most famous piece of jewellery is her engagement ring. Made iconic by its first owner, Diana, Princess of Wales, the world fell in love with its diamond and sapphire setting all over again. The ring comprises a 12-carat oval blue sapphire, cut into facets, and surrounded by fourteen solitaire diamonds in a setting made from 18K white gold. Diana had returned the ring to her ex-husband, Prince Charles, upon their divorce and it was stored in Kensington palace. After Diana’s death, Prince Charles invited William and Harry to select a keepsake from her personal collection. Harry picked the engagement ring, while William chose Diana’s gold Cartier watch. 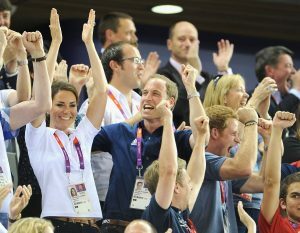 However, when William decided to propose to Kate, the brothers exchanged their mementos. William had planned to propose to Catherine during the couple’s 2010 trip to Kenya. William had taken the ring taken out of the royal safe before carrying it around Africa in his rucksack for three weeks. Kate’s ring is incredibly valuable now and is valued at ten times its original 1981 cost of £28,000. While Kate has her favourite contemporary jewellers, including Kiki McDonough, fashion house Oscar de la Renta, Catherine Zoralda and Soru Jewellery, she also has a keen eye for stunning pieces from classic, luxury jewellers. The Duchess of Cambridge has a penchant for Cartier pieces, including an unusual pendant featuring five diamond-studded hoops in white, yellow and rose gold, that’s estimated to cost £55,000. She has a pair of Cartier earrings which she pairs with the pendant and are said to be a present from William. Being a modern princess and mother isn’t simply about looking good. The Duchess of Cambridge needs to keep on schedule, so timepieces are critical to her daily wardrobe. Kate strikes a balance between functionality and finesse through her choice in watches. Her Ballon Bleu de Cartier is part of Cartier’s more feminine range and features a perfectly rounded face, instead of the more traditional Cartier rectangle shape. Kate’s active lifestyle and love of sport are well documented, with her support of the Olympic Games in London, 2012, helped her to raise the profile of the benefits of playing sport. It’s no surprise then, that we get glimpses of Kate’s more sport side – through her choice of watch. Once again, Kate managed to bridge the gap between functional and style with a Tissot Bridgeport Automatic Lady watch. As dynamic as the Tissot brand, the Bridgeport Automatic Lady features a mother of pearl face and crystal chips at the hour points. The Duchess of Cambridge is growing her personal collection of jewellery and watches, and can also count on borrowing from the Queen’s collection of tiaras and crowns for state events. Kate’s also lucky enough to be gifted with pieces during her state visits. These belong to the Royal Family, rather than Kate herself, and she will be expected to wear them as a sign of friendship to those who gifted them to her. Why not keep an eye out for the stunning diamond and platinum polar bear brooch presented during her royal tour of Canada.